I didn't know one must queue to do online shopping on Black Friday. 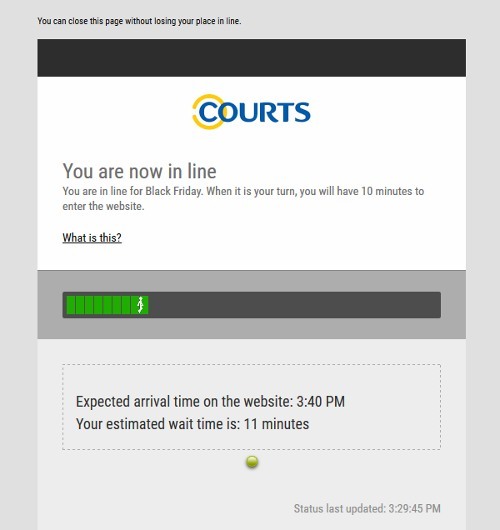 The message on Courts website says: "Due to high traffic demand, we are putting you on queue now to bring you a better shopping experience. Thank you for your kind understanding."